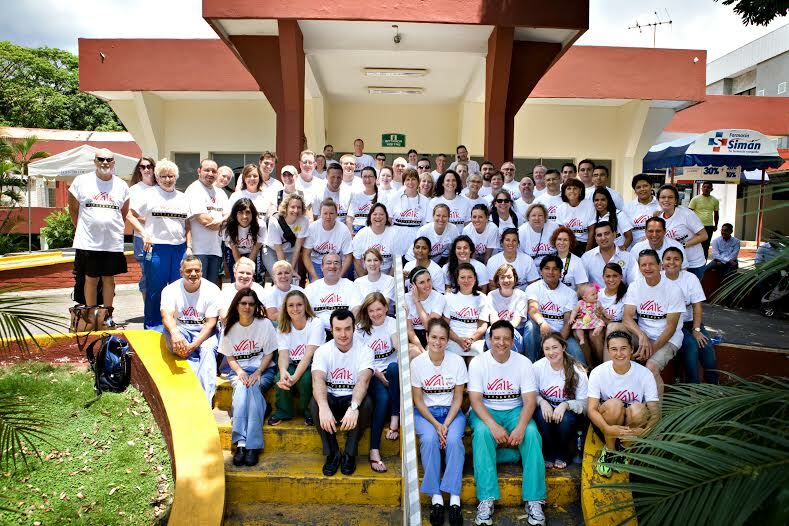 When Dr. Tony DiGioia and his team of more than 60 volunteers travel to Honduras in June, they’ll take with them 8,000 pounds of medical supplies. But mostly what this group will bring is hope. They are part of Operation Walk Pittsburgh – a non-profit he founded to provide free hip and knee replacement surgery to people with severe arthritis in developing countries as well as Western Pennsylvania. This will be the group’s third trip to Honduras. Their reason for going is simple. The residents there don’t have access to the orthopaedic treatment they need. “In Central America, it is a walking society. If you can’t walk, you can’t participate in life,” said Tony. 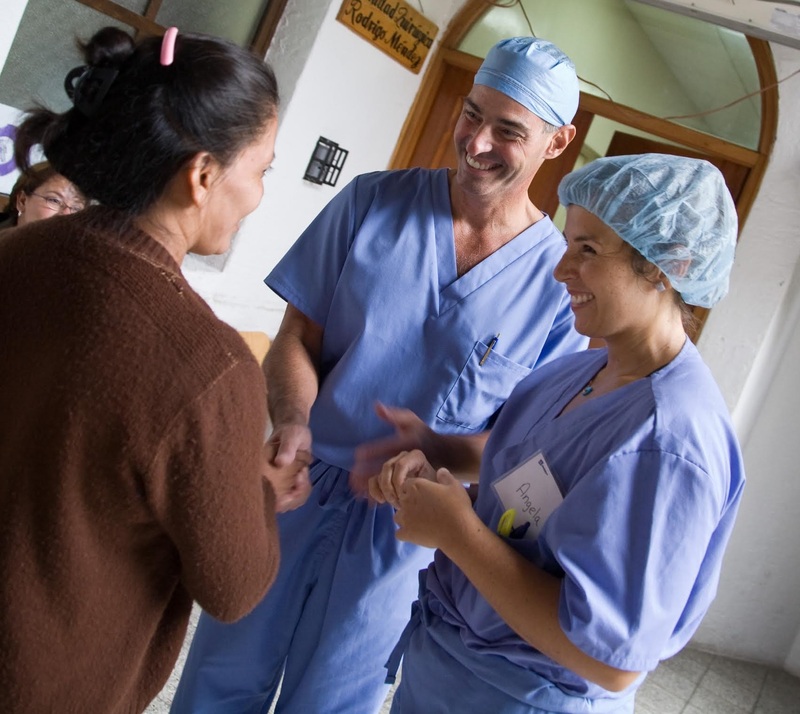 Each year since 2008, Dr. DiGioia, who is also the Medical Director of the Bone and Joint Center at Magee Womens Hospital of UPMC, has led teams of surgeons, physicians, anesthesiologists, nurses, physical therapists and other non-medical volunteers to places like Honduras, Guatemala, and Panama to provide this life-changing treatment. “One of our biggest challenges is the logistics. The hospital ward and operating rooms are there when we arrive, but we have to put together the team made up of people from Pittsburgh and all over the United States. We bring everything – the medicine, implants, crutches, and supplies right down to the band aids. The supplies, donated by vendors, are shipped in a container truck three months ahead of the group. A pre-team of 5-7 people goes down a few days ahead of the main team to get everything ready. On our last trip there was a problem getting the supplies through Customs. My daughter Angela and Janice Harmon, both volunteers, made a 12 hour round trip to the port to rescue the supplies and we had them in time for our arrival,” Tony said. What comes next is a whirlwind of activity. 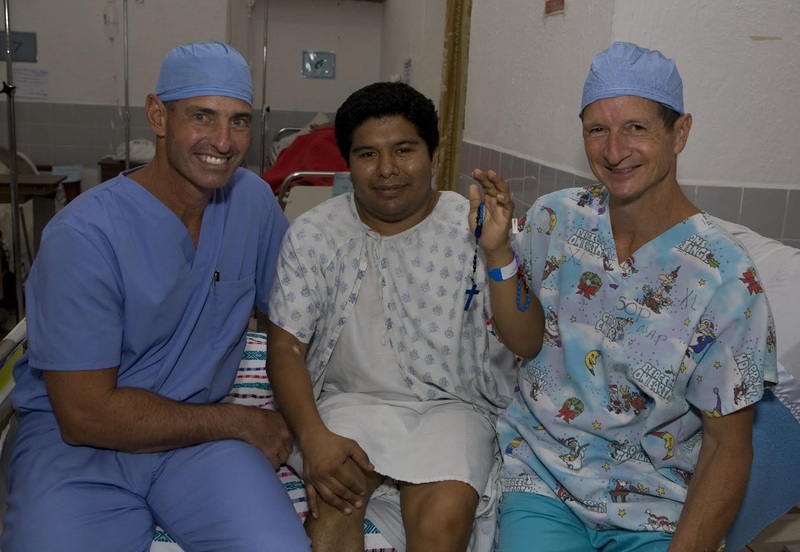 “After arriving at the hospital in San Pedro Sula, Honduras and doing a walk through tour, we’re ready the next day to have a big pre-operative clinic. In two and a half hours, we will have screened all 75 patients who are seeking treatment. Afterwards, we have the toughest task of all – developing a candidate surgical list. To have to tell patients we can’t do surgery for them is heartbreaking, but if they were turned down because of medical condition or if it’s a special case, they’ll be high on the list next year. For those that get a “yes” it is like winning the lottery. It’s definitely a different mindset than back home,” he said. It’s the stories of the patients that make the effort so rewarding. Tony remarked, “On one of our first trips, there was a young patient in his 20’s who had survived blood cancer. He had been treated in Houston, Texas. Part of the treatment caused his bone to die and he had the knees of an 80 year old man. His goal was to play soccer again. We replaced both of his knees.He was the most thankful patient and loved the attention and wore his soccer shirt when doing his rehab. He made it through a life threatening disease and now he could play soccer once again. Another patient, Jose’ was a baker in his family’s bakery. He told us at his exam, ‘I can’t support my family because I can’t work in my own bakery.’ He had both knees replaced and went home two days after surgery. 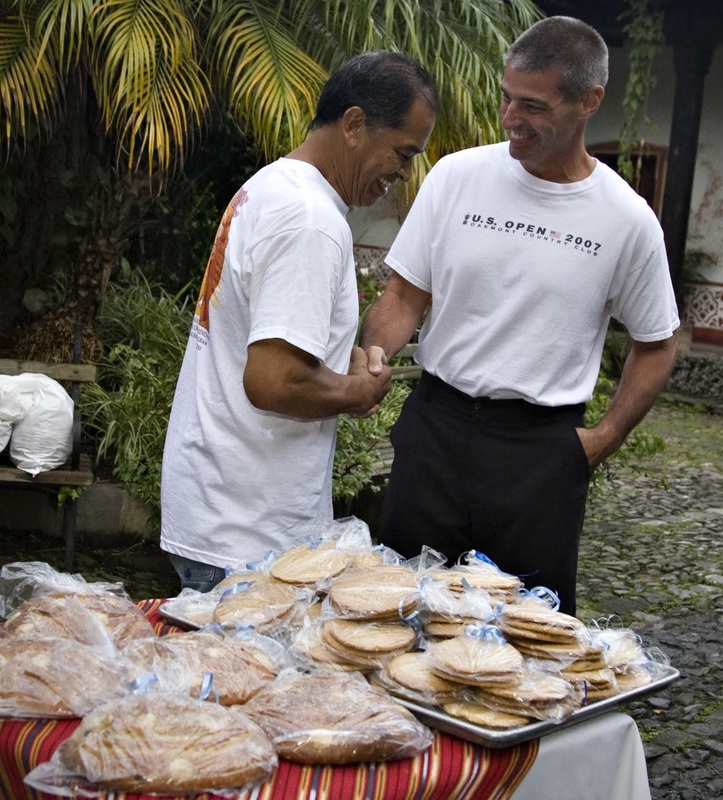 On the third day, he and his family came to our hotel and gave every team member packs of native Guatemalan baked goods they had made to show their gratitude. The patients aren’t the only ones who benefit from Operation Walk. “These trips are also a tremendous benefit for the team and having our own families there with us has had a huge impact on them as well, especially the teenagers who also take part in special side trips. As an example, my wife Cathy and daughter, Angela, coordinated a visit to an orphanage where some of our volunteers bring amenities for daily life that we take for granted, and also helped in painting schools and refurbishing a basketball court. Each year, about a third of the travel team is made up of volunteers who never been on a trip so we get to see the trip through the eyes of the new members too. We always explain, you’ll come back different than when you went. One of the biggest benefits of the team members is that it takes us back to our basics of why we got into healthcare – to take care of patients. There are no job descriptions. These teams have not worked together before, but come together to operate on and take care of so many patients each year. Doing this work removes all the veneer – the regulations and insurance details that sometimes we get lost in. This perspective also carries over when they return. Although we have to deal with these issues at home, team members tend to view their own experience and patients at home in a different light. We are fortunate that we literally cure people of their arthritis,” he said. The greatest reward for me personally is being able to put together the program and the teams – all to the benefit of the patients. Operation Walk, a global health campaign, was started in Los Angeles by a friend of mine, Dr. Larry Dorr. Working with Dr. Dorr and the LA team, we established Operation Walk Pittsburgh program for which we are all thankful. In addition, about five years ago, we said, ‘Let’s also do this at home. Through The Bone and Joint Center at Magee and Butler Memorial Hospital, we offered free surgery to the uninsured. Now though patients are usually able to obtain insurance through the Affordable Healthcare Act. So it’s been harder to find patients who lack insurance. Therefore, our “home” Operation Walk program is evolving into offering a free clinic for patients with hip and knee problems to have X-rays, get needed injections, and to help patients sign up for insurance, if needed,” he said. Operation Walk is supported by the AMD3 Foundation, which provides a host of educational and support services for patients and medical professionals. One of those services is a program called “Walk it Forward”, which is made up of patients that have already had their joint replacement surgery and their families. Their purpose is to provide mentorship and support for other patients that have arthritis and who may be thinking about surgery as well as for patients in the immediate post-operative period. Help and support are provided through emails, phone calls, volunteering to help at the hospital or as one former patient does – through prayer. 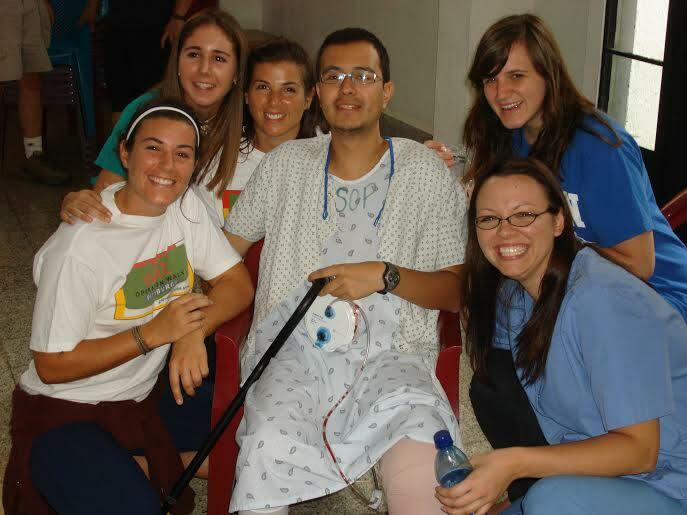 Over the past seven years, Operation Walk Pittsburgh has made six international trips and has provided more than 350 surgeries totaling more than $15 million in free care. The team looks forward to returning to Honduras this year. A team that is changing lives – one step at a time. Please join me in telling others how Operation Walk Pittsburgh is changing lives by sharing this story. And for more motivation to move you forward, follow MaryMotivates here, on Facebook and on Twitter. Thank you so much, Jaynette, for your kind words.